Disney Launches World Of Cars Online - Celebrity Style! 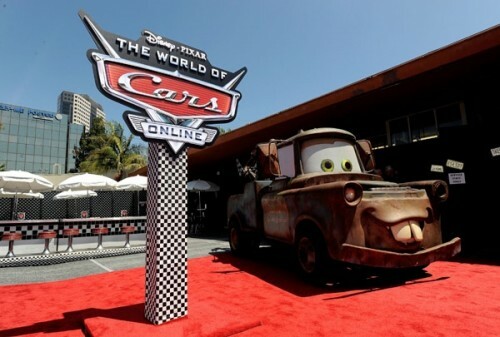 Home » Disney Launches World Of Cars Online – Celebrity Style! World of Cars is Disney’s fifth online community — one that’s designed to keep children interacting with Lightning McQueen, Mater and other characters from the movie until “Cars 2” is released in 2011. Yesterday Celebrities came out with their kids to interact online, hang out on ‘set’ and get their pictures taken with their favorite Car characters. Violet Affleck Shows Off Her Soccer Skills!